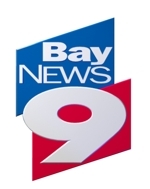 Today I was featured on Bay News 9 talking about real estate marketing tactics, including Coming Soon marketing as well as “Guaranteed Sale” programs that some agents are using. Also discussed is how reliable sites like Zillow, Trulia and Realtor.com are as far as what one’s home may be worth. More on Coming Soon listings here.